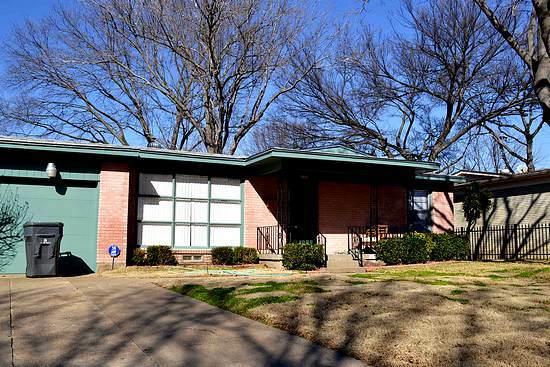 Hilites: East Dallas traditional in good condition inside and out. Nice yard. Landlord mows the grass. Hardwood-style laminate floors in most rooms. Freshly cleaned, painted and repaired. Family neighborhood. Easy access to LBJ. Appliances: Gas stove. Furnish your own refrigerator. No dishwasher. Central heat and air. Hookups for full size washer/dryer. Terms: 1. Prefer two year lease. 2. No pets. 3. Tenant pays utilities. Landlord mows the grass. Showing:We qualify before we show. First drive by the property and see if it is what you had in mind. If you want to go inside, we ask for an application. There is no fee if you come into our office at 10729 Audelia in northeast Dallas unless you have an agent who expects to be paid a commission. You can apply online for $40 by going to our onsite application .